Samsung Galaxy S3 finally gets the premium Suite Android 4.1.2 Jelly bean which is also dubbed as XXELL4 firmware. Using this firmware on Galaxy S3, will let you to get the best out of some of the premium apps including the “Paper Artist” and “Smart Rotation”. 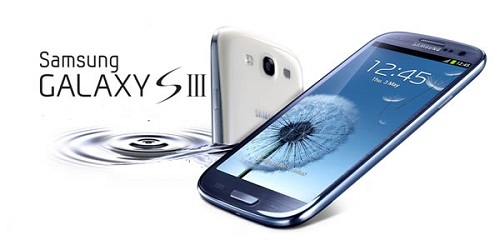 Well, lets get started with our detailed guide for updating your S3 to this new firmware. Take complete backup of all your personal data from the device using appropriate apps. Failure to take backup might result in permanent loss of data during the upgrade. Enable debugging mode in your Galaxy S3 by following this path “Settings > Applications > Development > USB debugging”. Ensure that your device has a minimum of 40% battery backup available for the upgrade. Disable all the antivirus or security suites in your computer, since it may cause interruption while upgrading the firmware. If you have done all the pre-requisties, you may continue following the actual guide given below for upgrading your Samsung Galaxy S3. Note: Don’t held us liable or responsible for any damages occur to your device while following the instructions given below for updating your firmware. To get started, download the XXELL4 Jellybean 4.1.2 Firmware and Odin to your computer. Once downloaded, extract them both on your computer. Now open Odin in your computer. Once done, switch off your device and press the Volume Up rocker key + power button so that it can enter into the Download mode. Connect your device to the computer using the original USB Cable and you will see the ID:COM in Odin turns yellow, if you have installed all the drivers for the computer successfully. Now click on “PDA” in Odin and select the “tar file” which you would have get from the firmware extraction. Once done, click on “Start” for starting the upgrading process. Upon successful upgrade, you will see the device rebooted automatically to normal mode. Now just follow the on-screen instructions for the first use of the new firmware in your Galaxy S3 device. That’s it. Now you have successfully upgraded your Samsung Galaxy S3 device to the XXELL4 Jellybean 4.1.2 Firmware!